You are never going to look at a tube of biscuit dough the same way again. Seriously. Now, I love me some biscuits, and I didn’t think a biscuit slathered with butter could be improved upon. But at the risk of sounding immodest, I have to admit, I improved it. How you ask? 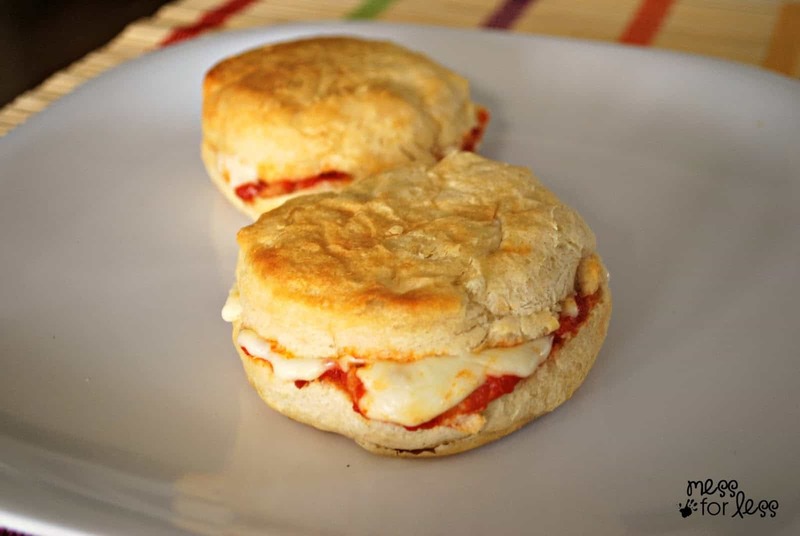 I added some sauce and cheese to make these simple Pizza Biscuits. 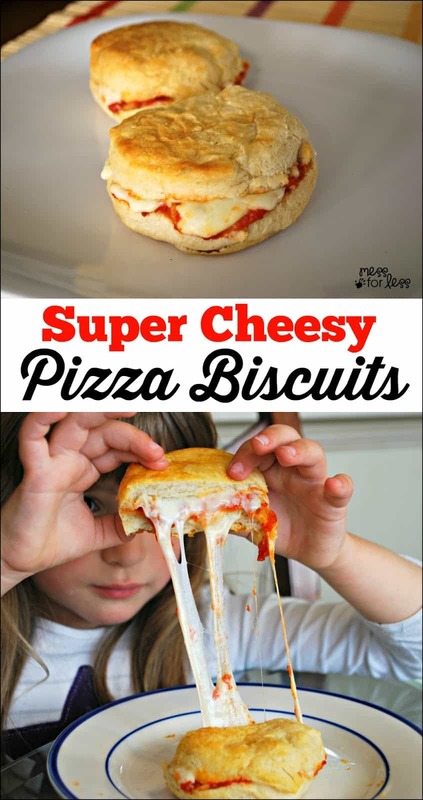 Everything you enjoy about pizza can now be found in biscuit form, The gooey cheese is surrounded with flaky biscuit crust. 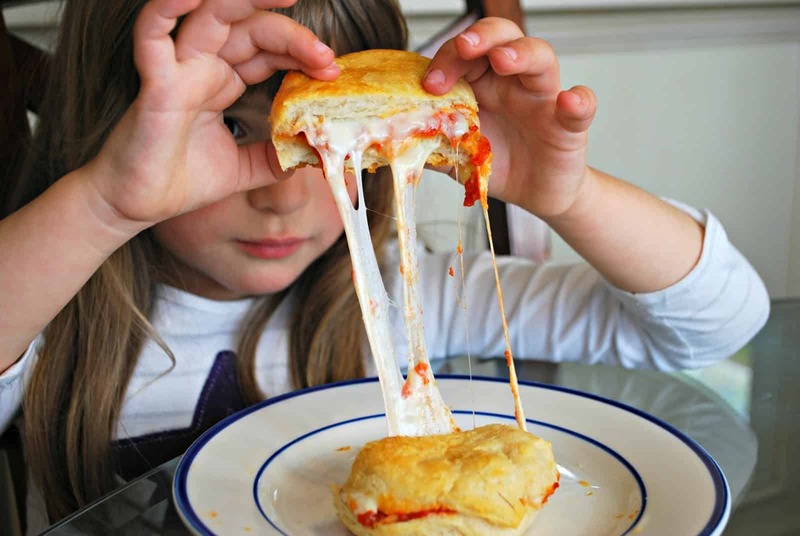 These pizza biscuits are perfect for hungry kids, husbands, everyone! 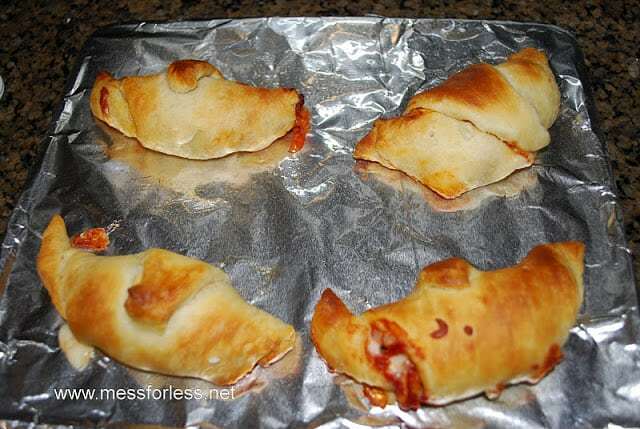 Be sure to check out our other family friendly recipes for more food inspiration and these Pizza Crescents for more pizza goodness! 1 tube of biscuits (found in the refrigerated section. Use 2. Bake the biscuits according to package directions. 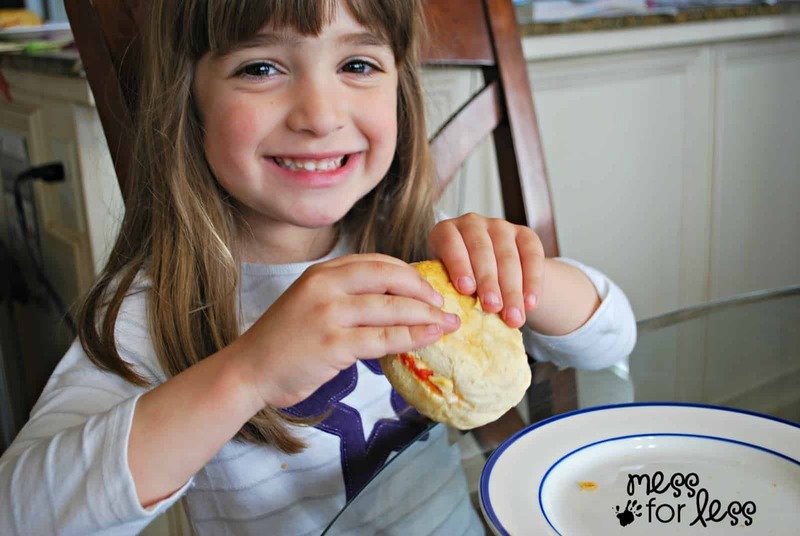 We made a few pizza biscuits to enjoy as a snack and made the rest of the biscuits with dinner. 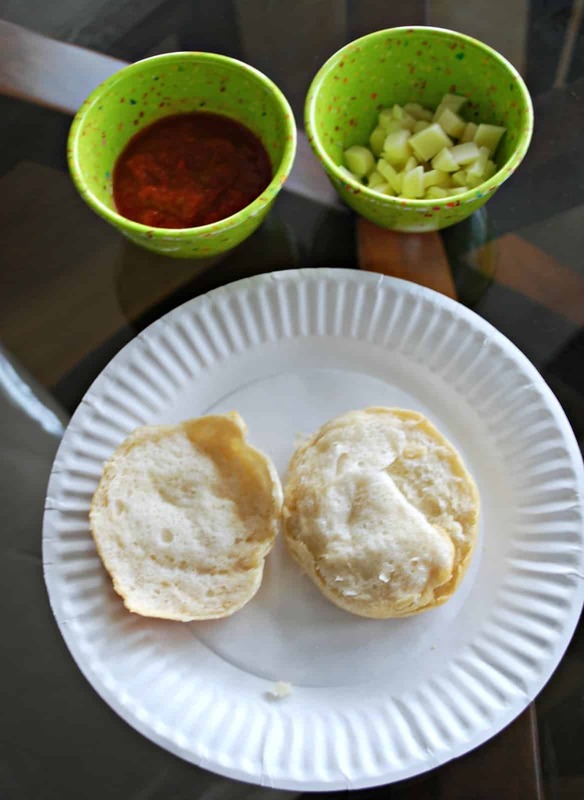 When the biscuits are cooked, cut them open and allow them to cool for a few minutes. Put the pan you cooked them in aside as you will be using it again later. 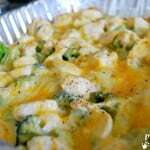 Leave the oven on as you will be using it again in a few minutes. 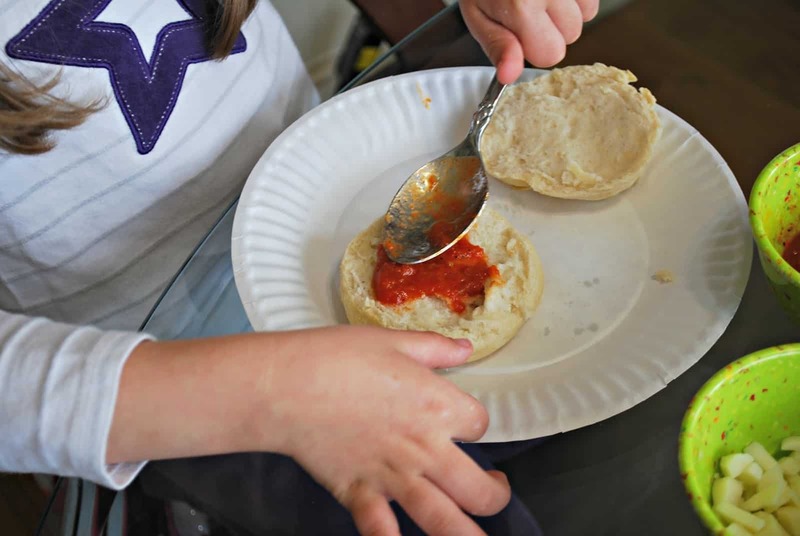 Spread a spoonful of sauce on the bottom half of the biscuit. My daughter helped with this step. She loved being involved in making her own snack! Next cover the sauce with the mozzarella. 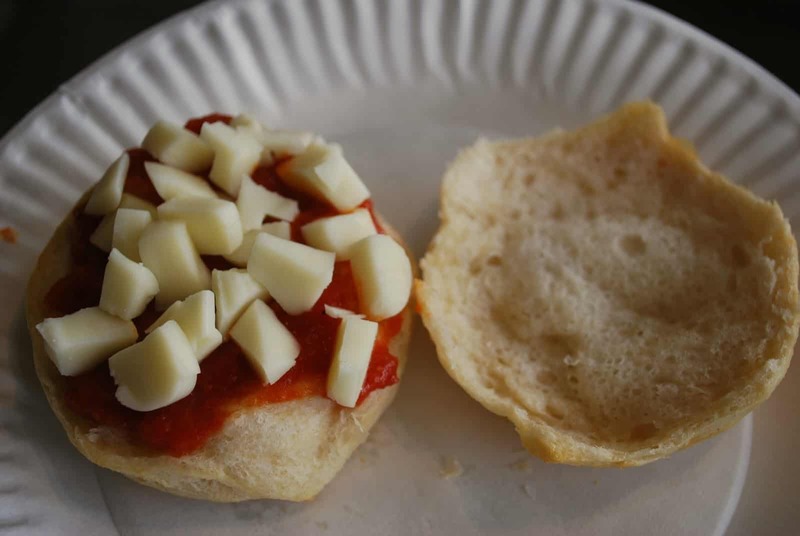 We tried to cover as much of the biscuit as possible with the cheese. 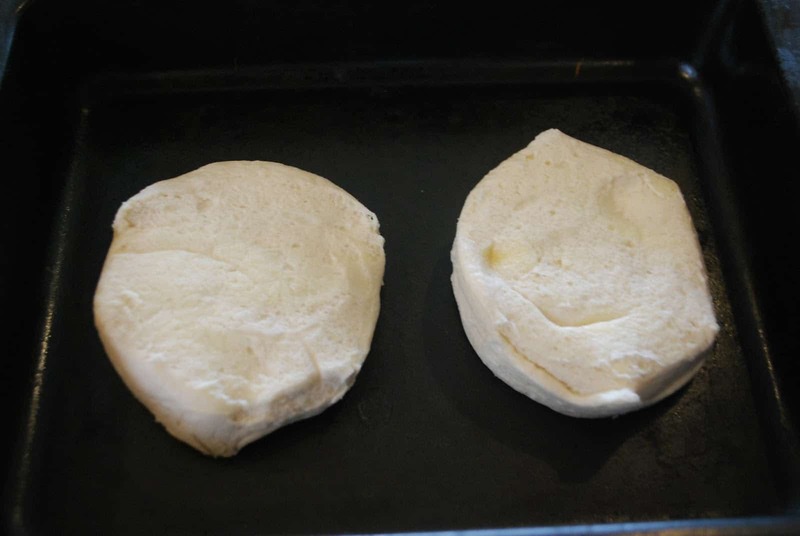 Cover the cheese topped biscuit with the top half of the biscuit and place it back in pan. 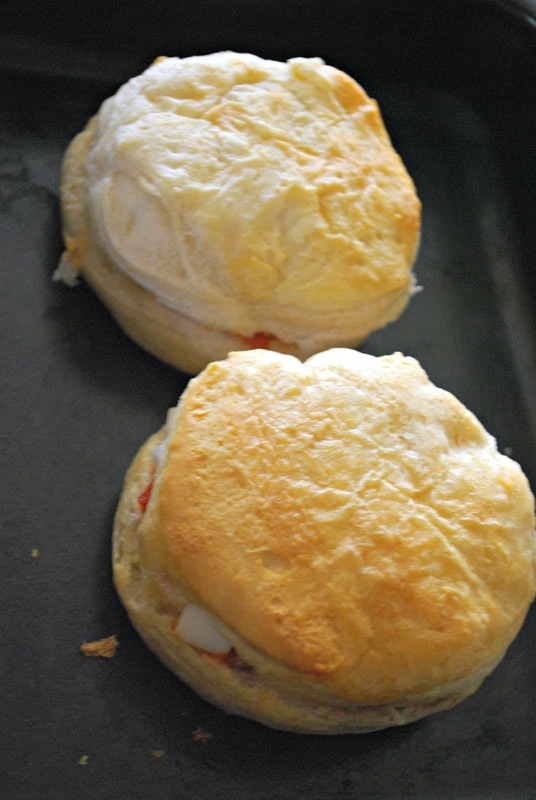 Cover the biscuits with foil. Return to a 350 degree oven for 9 minutes to allow the cheese to melt. When they come out, they will be perfectly melted, golden and flaky. My daughter was one happy camper! There is nothing more fun for her than to eat something that she helped create. 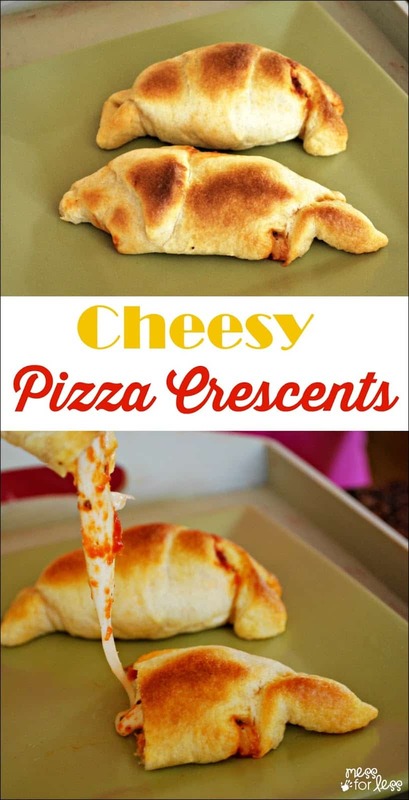 Who doesn’t love cheesy goodness? 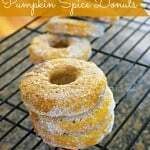 These go great with bowl of tomato soup on a chilly day. You can even dip your biscuit in your soup. Not that I’ve ever done that. 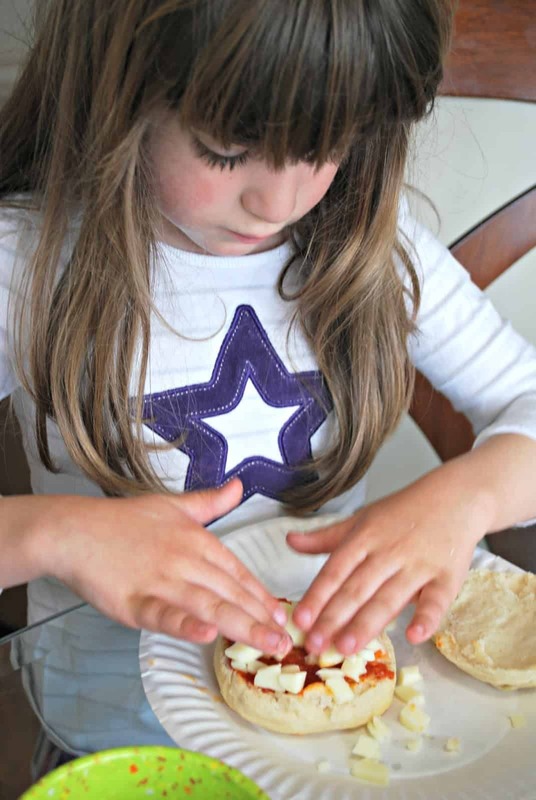 If you love cooking with your kids, you’ll enjoy kidstir. When you sign up for kidstir your child will receive a monthly kit that will provide fun food adventures for them. You’ll get tasty recipes and fun new cooking tools that will spark a love of cooking in kids. 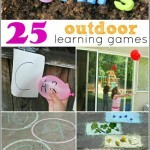 This is such a great way to create memories with kids in the kitchen.